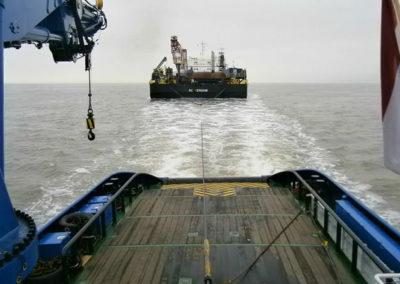 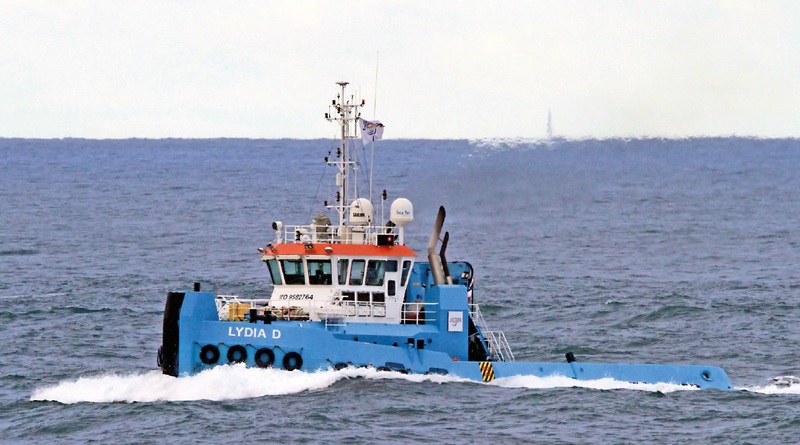 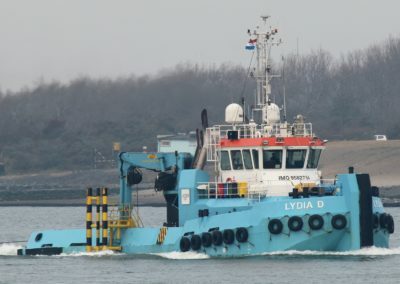 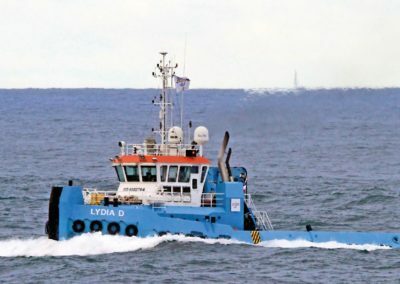 The “LYDIA D”, built in 2011, is a DP-I shallow draft anchor handling tug of 31,05 by 10,00 meters. 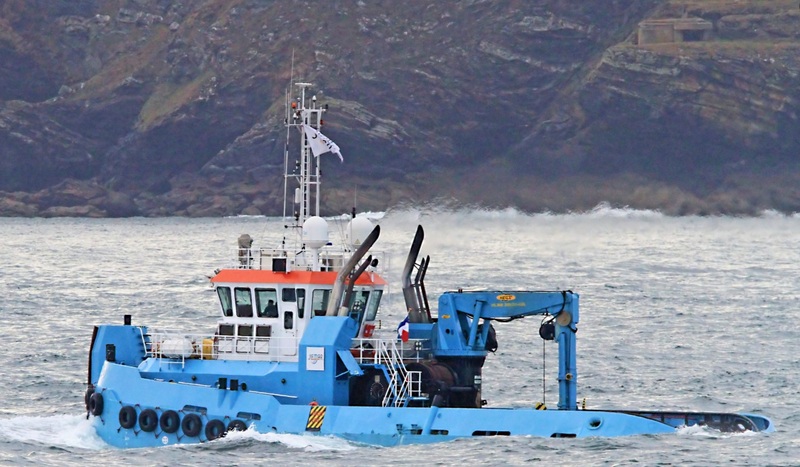 The twin Caterpillar engines delivering 3.880 BHP which results in 51,9 tons bollard pull. 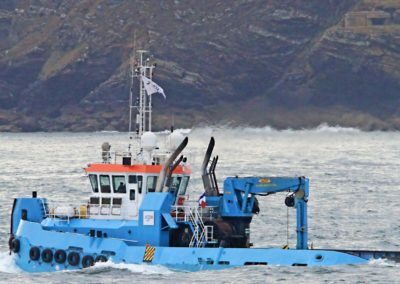 In combination with the DP-I Dynamic Positioning system, minimal draft, the 360 kW bow thruster and twin fixed propellers in nozzles, gives the vessel maximum maneuverability. 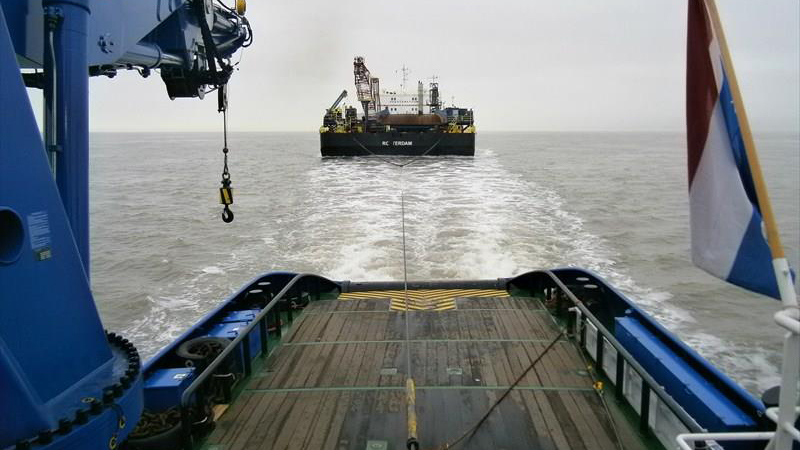 The strong HEILA marine deck crane with a maximum lift capacity of 6,6 tons(m) at 20,0 meters, the double drum waterfall winch of 90 tons (pull), a 15 tons tugger winch and a maximum clear deck area, makes the vessel more than multifunctional. 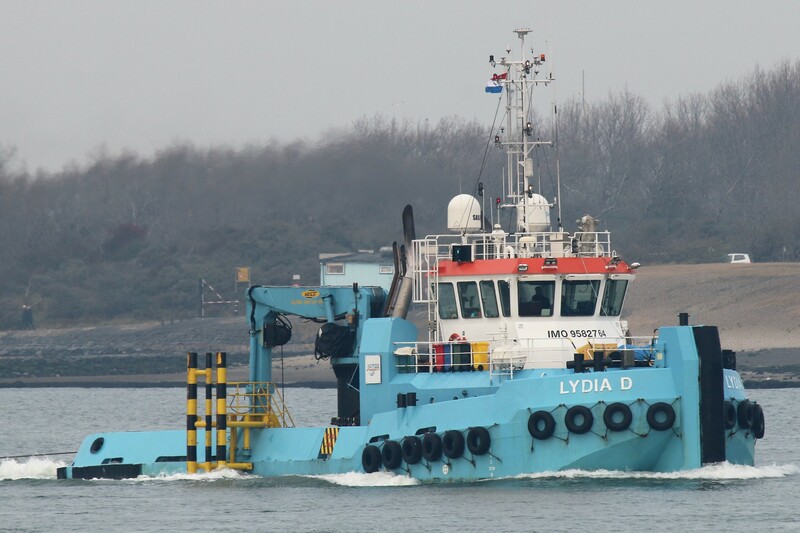 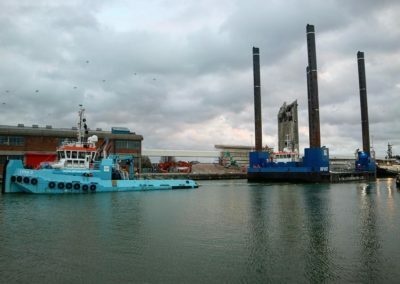 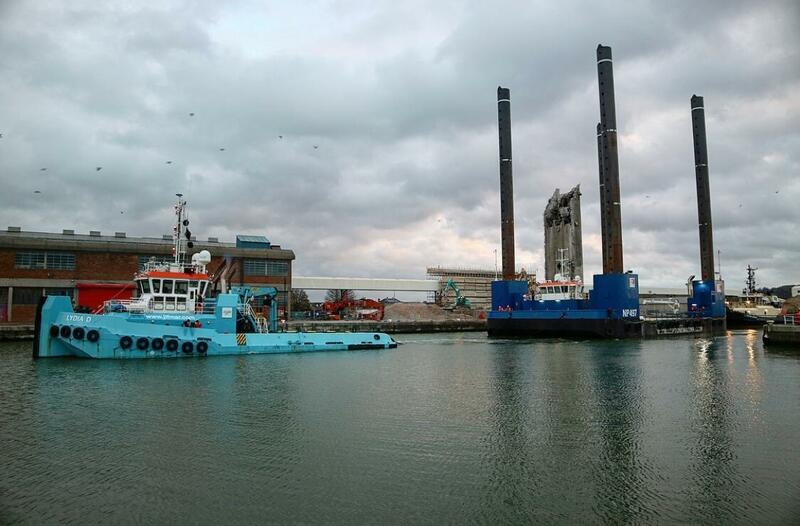 We are operating a wide variety of seagoing vessels and floating equipment, such as anchor handling tugs, multi-purpose workboats, multi-purpose accommodation pontoons, flat top pontoons, crawler cranes and more maritime related equipment.